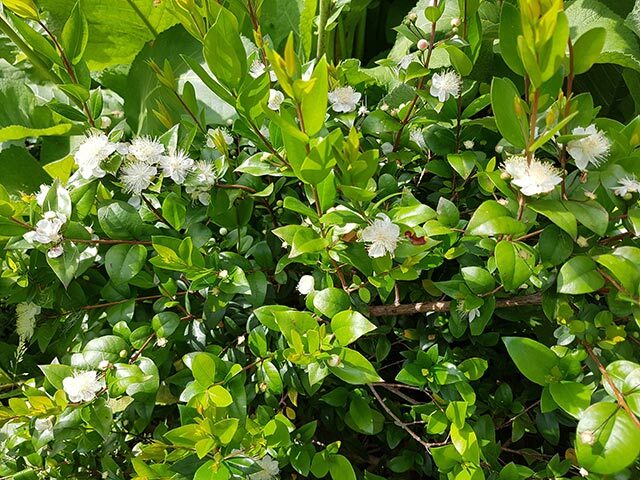 (Natural News) The traditional Unani system of medicine uses the common myrtle (Myrtus communis) to treat different conditions such as diarrhea or inflammation. However, a systematic review of myrtle reveals that it can also be used to cure gastric ulcer and skin diseases. In Unani medicine, practitioners used myrtle to heal different health complaints. Different parts of the plant and even its essential oil were used as ingredients in traditional cures. In modern cosmetics, myrtle is used to prevent hair fall control. The plant is also used to flavor food and drinks. Myrtle is also used for therapeutic purposes. In a study on myrtle’s anti-ulcer effects on Wistar rat models, the findings revealed that both methanol and aqueous crude extracts of the dried berries of the plant had anti-ulcer activities against ethanol, indomethacin, and pyloric ligation-induced rat models. According to the authors, the review findings showed that myrtle contained beneficial compounds such as flavonoids, glycosides, phenolic acids, tannins, and terpenes. Studies also confirmed that myrtle oil also contained an assortment of bioactive monoterpenes and sesquiterpenes, along with derivatives. The review article provided sufficient data that could attest to myrtle’s medicinal uses, which were proven in a number of ethnobotanical, ethnopharmacological, and phytochemical studies. Most of myrtle’s health benefits, as suggested in the traditional uses of the plant, were corroborated by experimental studies. The experimental studies also proved myrtle’s antimicrobial, anti-diarrhea, anti-cancer, antioxidant, anti-ulcer anti-inflammatory, and anti-diabetes properties. Based on the data from the review, the researchers are hopeful that myrtle can be used in upcoming research to develop natural cures for health problems such as cancer, diabetes, gastric ulcer, and skin diseases. The review was published in the Journal of Evidence-Based Integrative Medicine. Myrtle was a crucial herbal plant used in the Unani system of medicine. Unani medicine was developed in Greece, but it was expanded by Arabs into a sophisticated medical science. The system was based on the framework of the teachings of Hippocrates and Galen. Unani medicine is also known as Unani-Tibb, Arabian medicine, or Islamic medicine due to the contributions of medical wisdom from practitioners in other parts of the Middle East and South Asia. The history of Unani medicine is characterized by the work of its practitioners, who are called hakims. Hakims rely on natural healing based on principles of harmony and balance that aim to unite the physical, mental, and spiritual realms. In Unani medicine, patients are treated via the establishment of a regimen that aims to normalize and balance external factors linked to particular complaints. If this doesn’t resolve the patient’s health concerns, hakims may recommend other treatments like natural medicines. You can read more articles about myrtle’s various medicinal properties at NaturalCures.news.